Behold this bold (and, yes: detailed) piece of groom’s cake randomness from Mark of Piece of Cake. 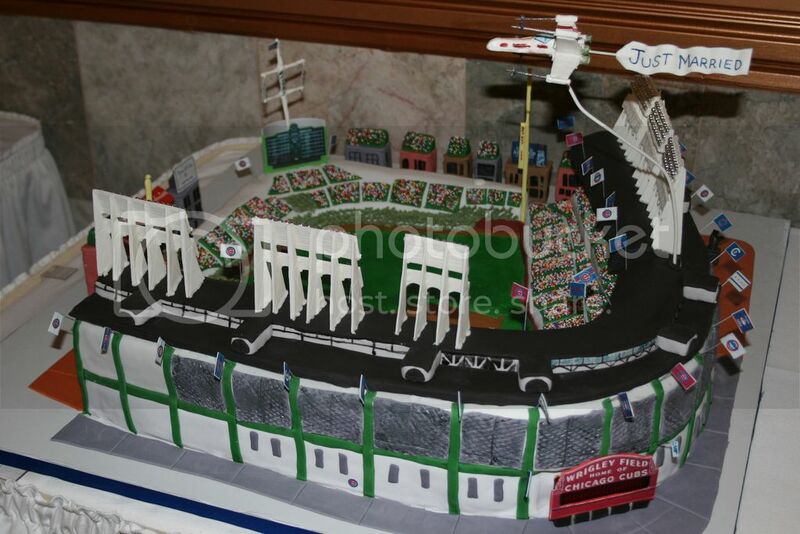 In case there’s any confusion, that is–indeed–an X-Wing fighter flying over a Wrigley Field cake. Mark calls it a “Wrigley Field Star Wars cake,” but I call it a Wrigley Field cake with aberrant Star-Wars-shaped gumpaste. 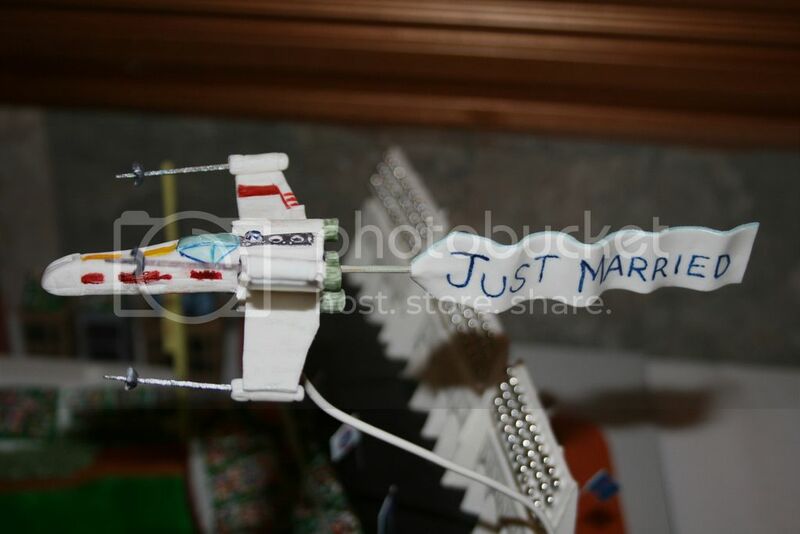 …it was actually a groom’s cake for a wedding this past summer. From what I hear, is that he loved it, and didn’t cut into it, until the next day with all their family. Wait… he loved it so much he waited to cut it? Or maybe he needed to wait until his entire family was around so someone could explain it to him. Maybe.